There is a distinctly “odd” paper in the December 2014 issue of the Journal of Urology on optimization of the use of MRI/TRUS fusion-guided biopsies in men suspected of having prostate cancer. No more likely than a standard, systematic, 12-core biopsy to identify clinically significant disease. In and of itself, this would seem to be a perfectly reasonable finding. Accurate knowledge of pathological grade is vital to [prostate cancer] management. So it is somewhat puzzling to see the authors conclude that, because clinically significant forms of prostate cancer comprised only 10 percent of all cancers found in the men with PSA levels of less than 5.2 ng/ml, it would be reasonable to not consider the application of MRI/TRUS fusion biopsies in men suspected of prostate cancer and having a PSA of < 5.2 ng/ml, but that such men would only need to have a standard 12-core biopsy. While this may be a “rational” conclusion on a mass, epidemiological basis, it is an utterly irrational decision when seen from the perspective of an individual patient, who is clearly going to want to know, with the highest reasonable level of accuracy, whether any cancer that he has is likely to be clinically significant or not so that he can decide (with his doctors) whether or not he needs treatment! It would be one thing if the authors had been able to validate their findings by reference to the post-surgical pathology in this series of patients, but they didn’t have those data, so they couldn’t. Without such validation, their conclusion would appear (at least to The “New” Prostate Cancer InfoLink) to be dangerous and ill-considered. Even with such validation, it may still be questionable. Exactly who should or shouldn’t get targeted biopsies (using MRI/TRUS fusion or other forms of MRI guidance) is complicated — for reasons of accuracy, workload, and cost. Some clinicians would already argue that a targeted biopsy under MRI/TRUS fusion or other forms of MRI guidance should be de rigeur for any man considering active surveillance in order to ensure that he was a good candidate. Others would be less likely to subscribe to that point of view as yet. The view of The “New” Prostate Cancer InfoLink would be that a PSA cutoff (of 5.2 ng/ml or any other number) alone is — at least currently — an insufficient criterion by which to determine who does and who doesn’t need a targeted biopsy. Other factors are also critically important. And while it may be reasonable to consider the PSA level as one of several possible factors in the decision to give or not give a targeted biopsy, to miss clinically significant prostate cancer in a man thought to be at risk for prostate cancer, and who would be potentially curable if it was identified, just because his PSA was < 5.2 ng/ml, would be reprehensible. The paper comes with two sets of brief editorial comments and an author’s response to those comments. The consensus after all those comments are taken into account seems to be that, even though fusion biopsies are most likely to be of benefit in men with a PSA level of 5.2 ng/ml or higher, we are still trying to determine if there is a group of factors that would allow us to decide that such biopsies were so unlikely to be helpful in the detection of clinically significant prostate cancer in some subset of patients that they really were absolutely unnecessary. Perhaps if the authors had composed their original conclusions with slightly greater care, there might have been a less visceral response to what they appeared to be suggesting. If MRI/TRUS fusion-guided biopsies are going to become the norm over the next 10 years (which seems very possible), then not using such biopsies in definable subsets of men needs to be evaluated with extraordinary care. It would seem to us that any smart lawyer with a client who was found to have metastatic prostate cancer (or even just locally advanced prostate cancer) after the prior refusal of a targeted biopsy on the grounds of PSA level alone would be out looking for a really big payday! Whenever I hear conclusions from researchers based on statistical averages, it is good to ask questions. Even with lots of data, it is easy to make incorrect assumptions or logic glitches and arrive at wrong conclusions. And government researchers may have political pressures or agendas that influence their analysis. Similarly, even if having PSA tests has resulted, in the past, of over-treatment of low-risk patients, should we stop doing PSA tests? It is the classic bonehead analysis that throws out the baby with the bathwater. Did they look at PSA density? 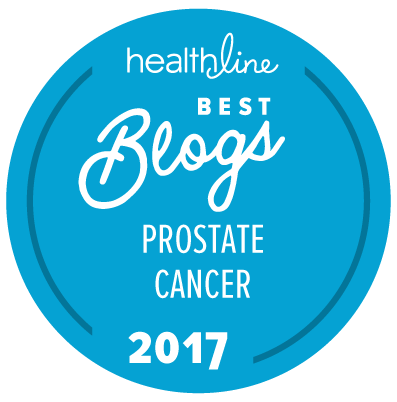 While they do include guidance on the prostate volumes of the patients in the data set, there is no indication that they specifically addressed PSA density, no.